Although the Crown, perhaps remembering the fate of Kenric I, did not attend, over 200 people enjoyed Endewearde’s weekend camping event on October 10, 11 and 12. People who arrived on Friday night could purchase sausage bombs from Smokehaus, a fundraiser for the archery company that raised over $200. 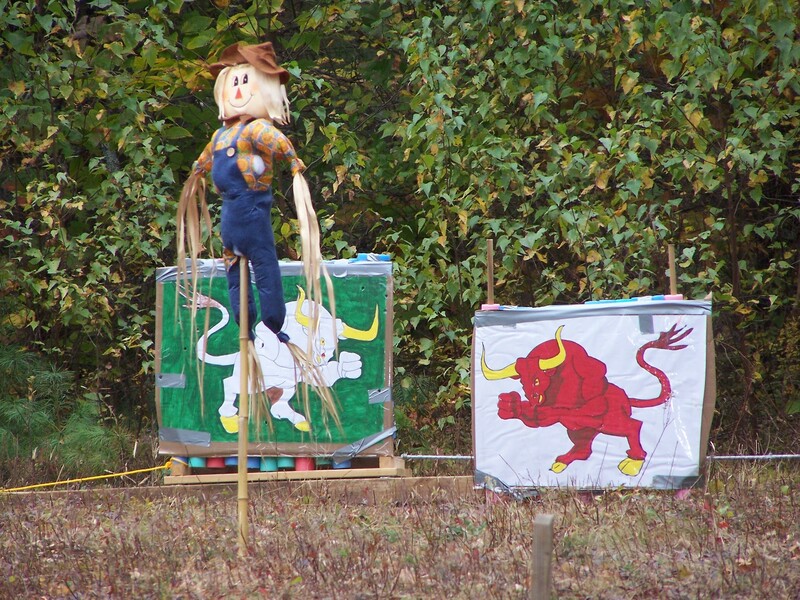 Saturday there were several archery shoots such as a demon cow and “shoot the cattle raiders” related to the story of the Cattle Raid of Cooley, a famous Irish saga. In the afternoon there was a woods walk with 3D targets, challenging enough for experienced archers, but easy enough that even the youngest and least experienced archers could score points. For the baronial champions shoot on Sunday, the top sixteen Endeweardian archers faced off in a head to head competition involving ground targets, pool noodles, balloons and a moving bull. It was a very close competition, with Lord Otto Gottlieb beating Master Godric of Hamtun by only a few seconds. But there was plenty to do even for non-archers. There was an atl-atl and thrown weapons range with a moving bull target. Saturday everyone enjoyed an oatmeal breakfast bar, a hearty dayboard and a pot luck feast, and Sunday morning a bacon tasting. There were classes on such topics as blacksmithing, bow bending, enameling, runes, and cheese making. There was a brewing competition and a pickle competition. There was pick-up fencing. There was hurley (think of a combination of lacrosse, field hockey and rugby). There were bardic circles every night around the communal campfire, and Papa’s Bar at the End of the World was open. 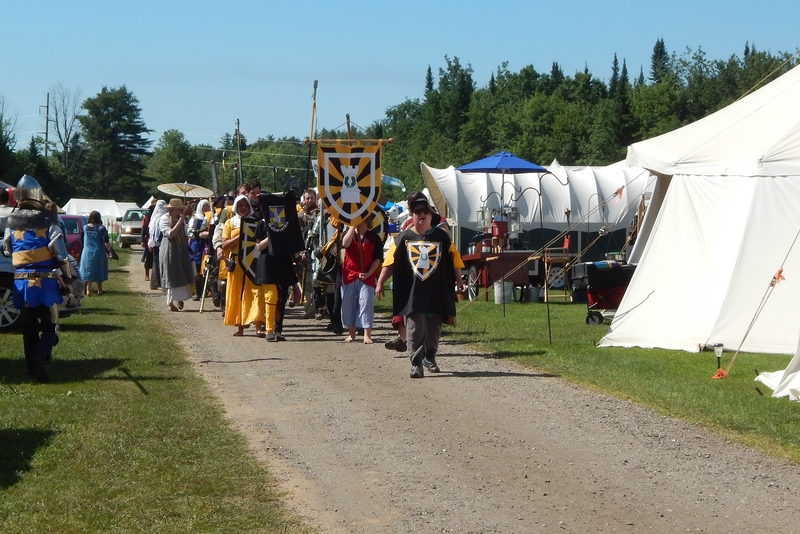 Court saw several worthy Endeweardians getting awards, and the recognition of those who had participated in martial activities at Great Northeastern War and Pennsic. Baron Ane du Vey also spoke about the dispute with Lyndhaven over an island between our two groups which Lyndhaven claims is theirs but Baroness Sylvia insists is “her” rock. There will have to be a confrontation in May to settle this. All in all, it was a great way to spend a fall weekend! Unofficial Court Report – Endewearde Investiture, provided by Baron Rowen Cloteworthy. The 28th of September, forty-eight years since the founding of the Society, the 2013th year of the Common Era, dawned warm and bright in the Shire of Endewearde. Their Royal Majesties, Gregor IV and Kiena II, left Their royal estates in the southern part of the kingdom and, it may be said, fairly flew in Their coach to that northern Shire to hold Court among Their people. 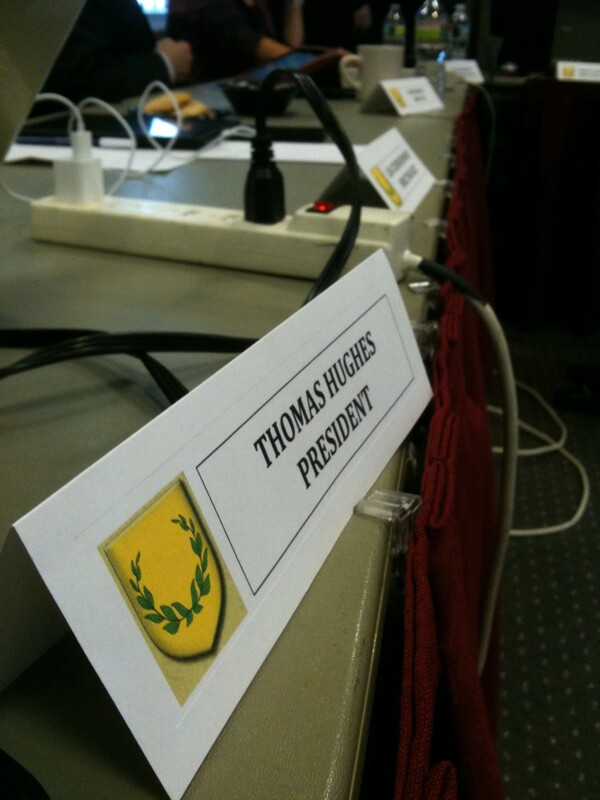 The incipient Canton of Wyndriche was recently announced at the Royal Court at Great Northeastern War in Malagentia. Its location is the southern end of the Barony of Endewearde on the border of the Province of Malagentia and the Incipient Shire of Hadchester, and is centered on the border of the modern towns of Albion and Unity, east of Waterville, Maine. Though the first organizational meeting was only held in early May of this year, the group has quickly grown to a paying membership of over 30 people. As with any new group, it is finding its way through the heraldic process and defining itself as to its members areas of interest, which are diverse. The Seneschal is Syr Cedric of Thanet. The Deputy Seneschal is Lord Kellemetlen Arpad. Group members are sharing news on their FaceBook page. Blowing snow and the threat of a blizzard could not keep the ardorous inhabitants of the Barony of Endewearde from their annual winter gathering to celebrate love in all its many expressions. At the Board of Directors meeting today, the petition by the Shire of Endewearde to become a barony was approved. The motion was made by Duke Martin Lochner. It was seconded by Duke John the Bearkiller. The vote was unanimous with the observation that this is a thriving group with all their documents in order.